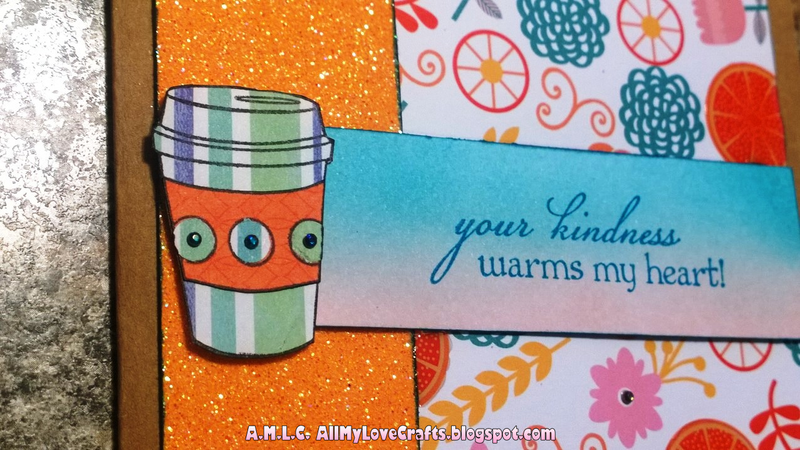 I decided to use some "leftovers" on my next card for the Summer Coffee Lovers blog hop! 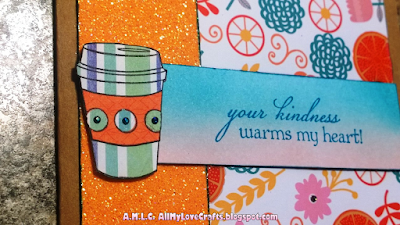 I made these cute paper pieced latte cups for an older project and found one left! The colors matched the background scraps I had from my Craft smith "Sweet Soiree" paper pad. 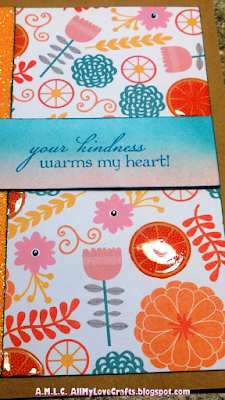 The greeting is stamped in Staz On Teal Blue ink. The background was distressed using Distress Mini pads Spun Sugar and Peacock Feathers. Link up your summer coffee/tea/cocoa inspiration here! Enjoy the hop! 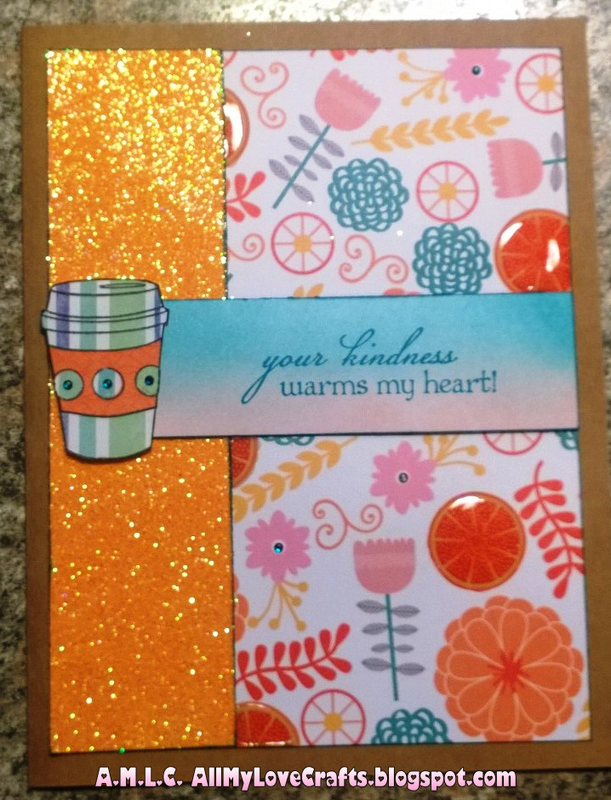 Sweet card...love your pretty background! Very pretty! Love all the shimmer & sparkle. Your left-overs made up a beautiful card. Love this with the pop of orange. So fun. Very pretty!! Love these colors! 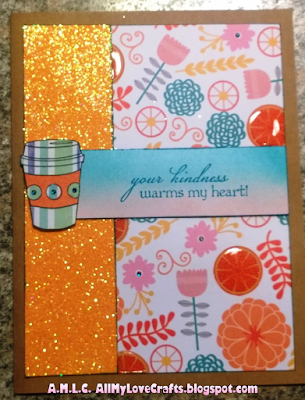 Your card turned out so well, love it in all bright colors! Great use of these bright papers and I love the sentiment! Fun left over card, Annie! Happy Tuesday! I love the terrific summer color combination! Fun design too! Super fabulous...I love the glitz! Ooh, love the bright colors and glitter! Wonderful card using those leftovers. Such a colorful card.Love it. Such a fun card! The colors are perfect for the hop.